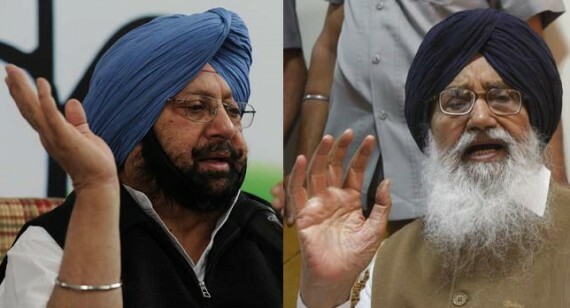 Hoshiarpur, Punjab: Dal Khalsa today termed both present and former Punjab chief minister Parkash Singh Badal and Captain Amritsar Singh as biggest turn-coats who have ditched the Sikh cause for independence just to be in the good-books of New Delhi. Party spokesperson Kanwar Pal Singh and secretary Dr Manjinder Singh said both the leaders of Punjab and Sikhs remained loosely associated with the Sikh liberation movement when the militancy was at its peak. Badal signed memorandum addressed to UN seeking separate Sikh state while Amrinder is signatory to Amritsar declaration seeking confederal structure”. With the movement going down both took u-turn and now were in a mad race to show that one was better patriot than other, said they. “How can people of Punjab trust such shameless and selfish politicians, who changes their perceptions and ideological positions with times”, they observed. We were sure and sequence of events have proved that both were never genuine to cause. Even when both signed the historical documents though differently, they did only to keep themselves political relevant as those were times when such politicians of compromising nature stood marginalized. 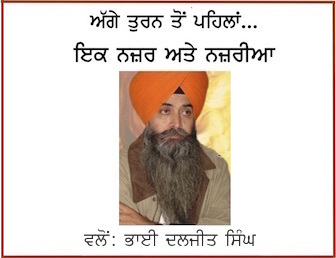 Dal Khalsa leaders were of the view that goal’s of the struggling people does not change even if its protagonists, abandon it later on for what so ever reason. They said instead of running down the goal for Khalistan for which hundreds of Sikhs have sacrificed their lives and dozens were still behind bars, both Badal and Captain should shed their pro-Delhi mentality and try to be honest with their own people. 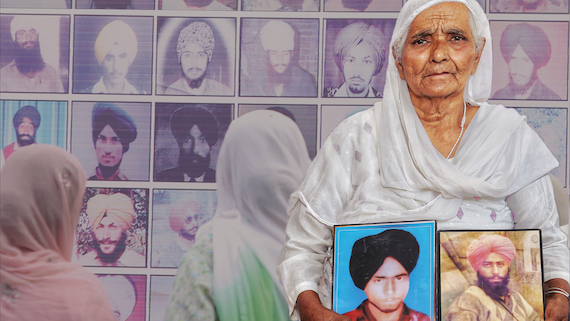 It would be no wonder, in case the movement regains its lost ground, these leaders would re-position themselves and might rejoin the section of Khalistani protagonists, they pointed out.